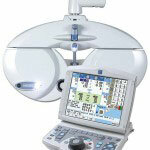 The Matrix will help evaluate your visual field and neurological function of your eyes. 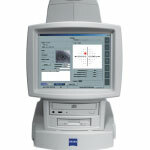 This device will measure and display topography readings of the cornea and tear film. 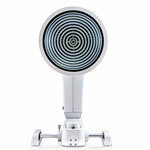 Topography readings are essential for proper contact lens fitting. The advanced software also helps diagnosis tear film irregularity and function and is a necessary tool for treating ocular surface disease and dry eyes. 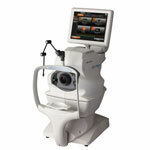 Optical Coherence Tomography (OCT) This instrument gives an enhanced view of the retina and optic nerve tissue. It is an essential tool for the early detection and treatment of ocular disease such as diabetes, age related macular degeneration, glaucoma. Automated refraction systems help simplify the process of obtaining your prescription and provide a real time comparison of your existing prescription to the new prescription. This makes the testing more simple and accurate.